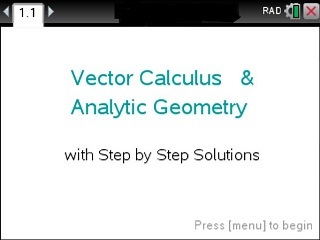 Vector Calculus & Analytic Geometry Made Easy is the ultimate educational Vector Calculus tool. Is a 2D Vector Field conservative? Line Integral given Vector Field & Parametriz. Surface Integral: Vector Field & Parametrizat.